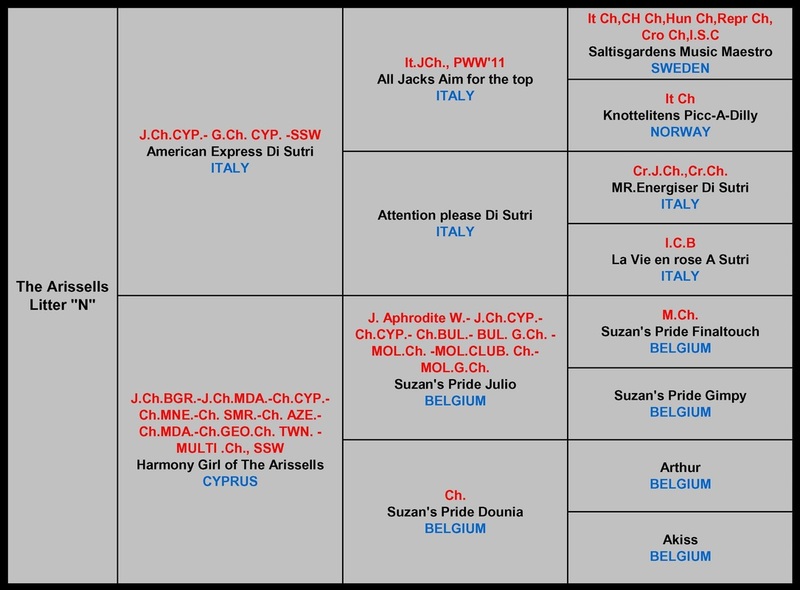 BIS PUPPY 2, BIS PUPPY 3, BIG 2, BIG 4 x 4, J. Aphrodite W. '11, J.CH.CYP., CYP.CH., BUL.CH., GR.BUL. CH., MOL.CH., MOL.CLUB. CH., MOL.GR.CH., CY.Multi CH.